Guest editors Joy Castro and Ira Sukrungruang discuss what they hoped for and what they learned in assembling our Special Issue on Race, Racism and Racialization. Joy Castro: Editing this issue with you has been a fascinating process, Ira, and I’m really glad to have gotten the chance to read these essays. Can you talk about why you wanted to edit an issue about race and racialization at this particular vexed moment in U.S. racial politics? Ira Sukrungruang: Because I couldn’t sleep. Because I felt helpless. Because I remember what the novelist Marlon James said at the 2015 American Book Award Ceremony in San Francisco, about the difference between a non-racist and an anti-racist. I was sitting there with my then-fiancé, now wife, and I was moved to silence. She was moved to silence. When a heavy truth is delivered sometimes the body freezes to let it all in. What Marlon said made absolute sense, and it was simple. Non-racists say they aren’t racist and do nothing. Anti-racists are not racist and are active in ridding the world of racism. If you are a non-racist you are part of the problem. You see the world burning, and you do nothing to stop it. So, why not start a conversation? Why not wrestle away the talk of race from political figures who are empty in their rhetoric, or dangerous in their accusations? To me, a lot of their talk is non-racist talk. It’s pointing out the problem and nothing else. Or saying, quite plainly, we do not have a race problem, or, worse yet, people of certain races are the problem. This is scary. My racial awareness came about through reading. What I was seeing in literature I wasn’t seeing anywhere else. The gray areas. The minute moments of inequality, the everyday lives of people of color. Those struggles. Those joys. In literature, race wasn’t about color alone. It wasn’t about difference. In literature, race is made complicated. Race is seen through a myriad of views. Played out not only through violence and hate and injustice, but love and understanding and empathy. The authors I read, you included Joy, had things to say that triggered a tuning fork in my bones. It was this reason I became a writer, to be part of this tribe, part of an ongoing conversation about race via the written word. So when Brevity asked me co-edit this issue, I couldn’t say no. To co-edit it with you, doubly so. How about you, Joy? Why do you think an issue about race and racialization is necessary now, more than any other time in our country? Joy Castro: Well, I’m not sure I’d claim it’s more necessary now than at any other time, because the history of the United States has never not been racially vexed, and intervening with multiple voices on the topic of race and racialization could have been useful at many, many points. What I do think is that it’s more possible now. Very possible. What in particular did you imagine or hope that short-form creative nonfiction, as a genre, could reveal about the issues? 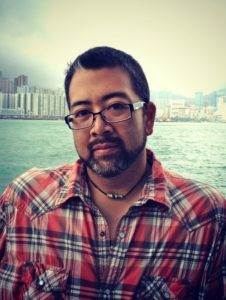 Ira Sukrungruang: When I first started writing about race and racism, I looked at race with a capital R. I was eighteen or nineteen, and I thought I needed to sound like James Baldwin—a writer I so admired—needed to sound powerful to get my point across. What was that point? Racism is wrong. So I started smaller. Started looking at race in short-form, trying to contain it within a few pages. What I discovered was the smaller parts of life were equally important, if not more. What I discovered was that if we looked at race from an epic vantage, we gloss over all these other inequalities happening by the second. We become just like politicians who dictate what is important and what isn’t. Joy, I so admire the essay you wrote for Brevity a few years ago, “On Length in Literature.” That young writer I was bought into the idea of the thicker the book somehow indicating literary excellence. I bought into the idea that I had to be a writer that I could never be, just because of my place in the world. In the essay, you touched on this idea of privilege. Can you talk further about privilege and as it relates to the short-form? Joy Castro: Time to write is a privilege. Time to give reading and writing a prioritized space in your life, to give them any time at all, is in itself a privilege. Having the time and resources to acquire enough of a literary education so that the work you produce is socially and historically aware enough, aesthetically interesting enough, and polished enough for editors to look at twice: that’s a privilege. The length of our texts can be a direct reflection of the material conditions of our lives. As readers and critics, we need to recognize the class bias in our assumptions that heft equals greatness. And since generally in our culture race, ethnicity, and class remain intertwined, we need to think hard about measuring writers by the quantity of their output. I prefer compression. I like the way compression and short forms are more possible, more available, for writers in straitened circumstances. If you’re doing manual labor all day, or taking care of a child or elderly person, your mind can be turning over sentences and paragraphs; you can revise and revise and revise. But you can’t hold long texts in your head—at least, most of us can’t. Then, when you have five or ten minutes at the end of the day, you can write down what you’ve been composing in your head. You can produce small gemlike pieces far more readily than long texts, which require—at least in my experience—more time, more solitude, more peace than poor people are usually afforded. Not to say that all people of color in our country are poor, or that all writers of color come from backgrounds of poverty. But many are, and many do. It’s something worth exploring. Ira, I was wondering: reading all the submissions we received, what most surprised you about what writers in the U.S. are thinking about race and racialization right now? Ira Sukrungruang: That we are frustrated. That they want to be heard. But to be heard in a different way. That they are angry. That they carry within them a lot of hurt, and that hurt they shoulder is not an individual hurt, but a cultural hurt. But also, a sense of change. A hope of change. I am incredibly honored to have been part of this project. It has been one of my greatest pleasures as a writer and teacher. How about you, Joy? Any surprises? Anything confirmed or disproven? Joy Castro: To be honest, I was surprised that so many white writers submitted work—non-Hispanic white writers, I mean. An analogy: as a largely straight person who has benefited from systems of heteronormative privilege my whole life, I would hesitate to submit to a special issue on queerness. I would feel that I wouldn’t want to take up space or insert my voice, and I’d see myself as a listener and learner only, vis-à-vis that text. But tons of white people submitted work for this special issue, and it initially made me wonder about entitlement, the feeling of always having the right to voice one’s views, to take up space, to have a place at the table. However, in ethnic studies courses, we frequently talk about the damage racism does to dominant people: the way it deforms and blinds and hurts them, too, when they become witting or unwitting participants in a system of oppression. Seen in that light, then, the many submissions from white writers bear this out in a concrete way. So many white writers have been deeply shaken, deeply marred, by their moments of induction into a racialized social structure, and they’ve subsequently become deeply thoughtful, even remorseful, to have unknowingly contributed to injustice, and even to have benefited from it, to continue to benefit from it. Many, that is. Not all. Some of the contributions we received from white writers were a bit defensive, or even nostalgic about lost innocence and privilege. Needless to say, those pieces didn’t make the cut. We’ve heard plenty of that before—and can hear it anywhere, even now. Given the racially hostile, xenophobic political discourse that surrounds us at the moment, I was moved and heartened, reading these essays, by how many white writers see racism as their problem. Ira Sukrungruang: It was such a wonderful experience working with you on this issue. I’ve been such a longtime admirer of your work, Joy. When I read Island of Bones a couple of years ago, I was quick to make copies of my favorite essays and thrust them at my students. In the title essay, there’s a line that has stuck with me: “…heritage doesn’t always translate visually.” I love that line and wanted to know how you viewed the essays we read through that lens? Joy Castro: Thank you, Ira. I’m glad you share my work with your students. The way that line intersects with the experience of editing this issue is that so many of the essays by writers of color were about being misperceived: seen, yet not seen. Not seen accurately, or fully. Being pre-seen, really, through the lens of race and ethnicity. And so many of the essays by non-Hispanic white writers were about misperceiving, to their chagrin, someone of color. It’s not new to observe that we, as humans, seem to crave or impose a quick visual shorthand that will help us navigate the world of other people, and unfortunately, we tend to map dominance and hierarchies onto difference. The impulse toward hierarchy is visible in all arenas of life: we compete, we rank, we judge. Sometimes it’s benign. But in the area of race and ethnicity, it’s destructive. What we can’t see or refuse to see or are trained not to see, we can’t know, we can’t conceive, we can’t respect. It apparently requires a great deal of imagination—once we’ve reached adulthood and been thoroughly incorporated into our particular subculture’s ways of seeing/thinking—to look past the immediately available surface information about another person (and how we’ve been taught to read that information) toward something deeper, more egalitarian, more open to wonder and curiosity and justice and love. As a species, our record is quite mixed on that score. The essays take that up again and again. 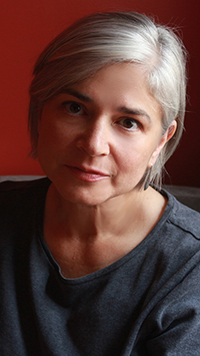 Joy Castro is the author of two literary thrillers, two memoirs, and the short-story collection How Winter Began, and the editor of Family Trouble: Memoirists on the Hazards and Rewards of Revealing Family. She teaches creative writing, Latino studies, and literature at the University of Nebraska-Lincoln, where she currently directs the Institute for Ethnic Studies. Follow her at @_JoyCastro. Ira Sukrungruang is the author of the short story collection, The Melting Season; two books of nonfiction, Southside Buddhist and Talk Thai: The Adventures of Buddhist Boy, and the poetry collection, In Thailand It Is Night. He teaches at the University of South Florida and edits Sweet: A Literary Confection.